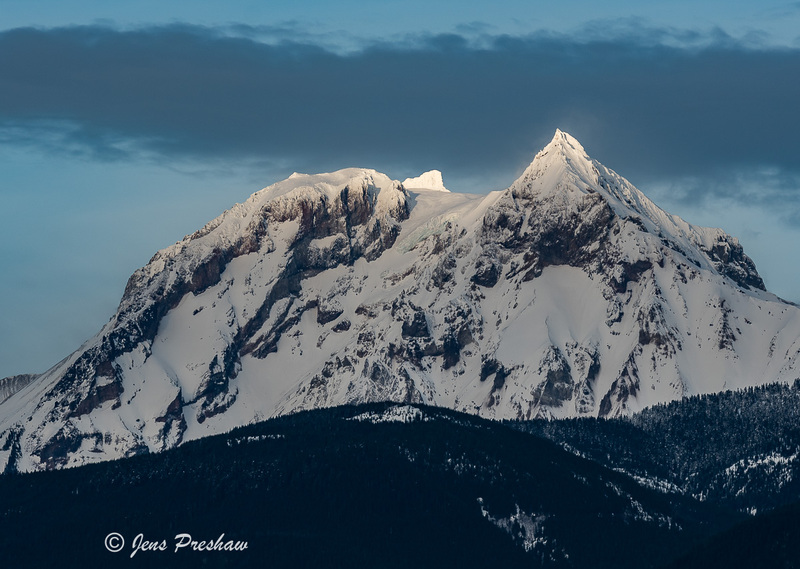 As the sun sets behind another mountain the last light of the day shines on the summit of Mount Garibaldi. It only lasted a few minutes but the light was magical. Mount Garibaldi was first climbed in 1907 and is one of the few Cascade volcanoes that is made exclusively of dacite. Atwell peak ( 2655 m ) is the sharp pyramid at the front and the true summit of Mount Garibaldi ( 2678 m ) lies directly behind it.